Taste of Nature, Inc., the maker of Cookie Dough Bites, has started shipping Doughlish Edible Cookie Dough and is available to vending operators in Vistar outlets nationwide, in addition to other retail classes of trade. The Chocolate Chip flavor is targeted at cookie dough lovers, foodies and those seeking an indulgent treat. The Doughlish product ships ambient and is shelf stable for 270 days. 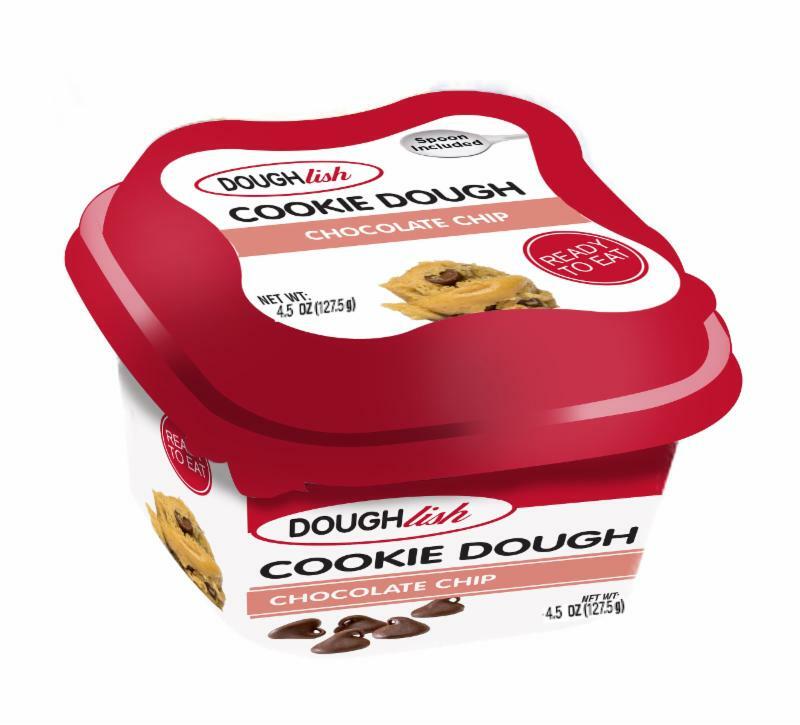 Unlike the other cookie dough products, Doughlish is not required to be frozen or refrigerated. By utilizing an egg-free, butter-free formula and the use of heat treated flour, the Doughlish product is both safe to eat and offers an indulgent taste. The product is available in 4.5-ounce resealable tubs with a spoon built into the lid. The customized tub is hermetically sealed to create a tamper-proof barrier for consumer protection as well as to lock in freshness and preserve the product for nine months. In addition to Cookie Dough Bites, Taste of Nature manufactures and markets a large variety of proprietary, licensed and private label products including: Care Bears Gummi Bears, Sqwigglies, Muddy Bears, Cotton Candy Swirlz, Tropical Cotton Candy Swirlz, Stars & Stripes Cotton Candy, Ginormous Gummi Bear, Snake Bitez Gummi Snakes, Cookies ‘N Cream Bites, Cinnamon Bun Bites, Birthday Cake Cookie Dough Bites, Red Velvet Cupcake Bites, Moon Pie Bites and Shari Candies. For more information visit http://tasteofnatureinc.com/products/, 310-396-4433.